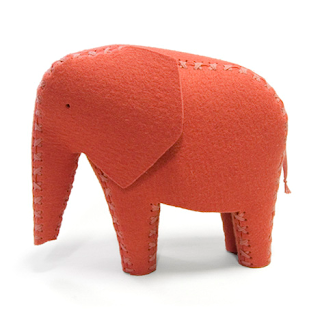 Called Ronny, the toys are cut out from flat sheets of wool felt and assembled by hand with cotton laces at the corners. 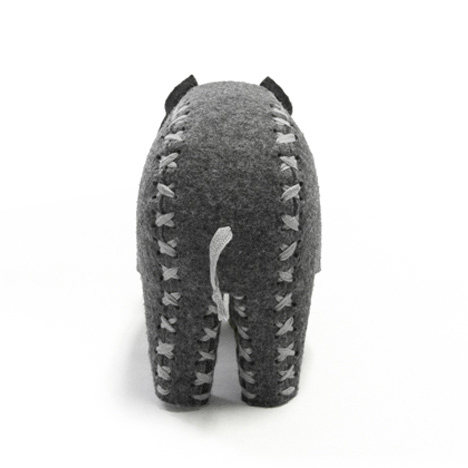 The felt is rigid enough to make them stand upright, and the bodies and heads are hollow so they can also be used as puppets. 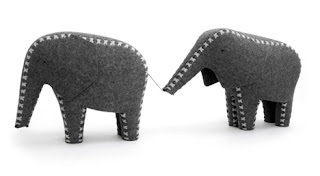 These felt elephant toys by German designer Daniel Böttcher are available at our pop-up design emporium Dezeen Super Store at 38 Monmouth Street, Seven Dials, Covent Garden, London WC2. Böttcher founded design brand Formverleih with Marlene Schroeder last year after they graduated together from Westsächsische Hochschule Zwickau University of Applied Arts in Schneeberg. Dezeen editor-in-chief Marcus Fairs spotted the toys at the Blickfang Design Workshop in Copenhagen last month. Check out photos from the event in our Facebook album. 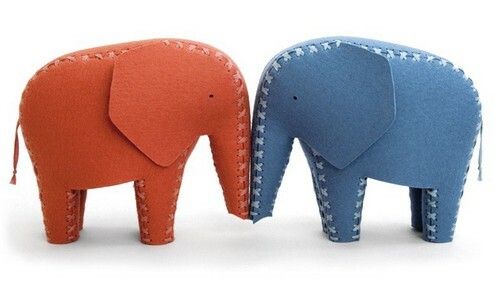 The elephant Ronny and the rhinoceros Peggy are timeless toys, collectibles or accessories for interior design. Their bodies are hollow and their heads are moveable, that’s why they can be used as hand puppets, too. 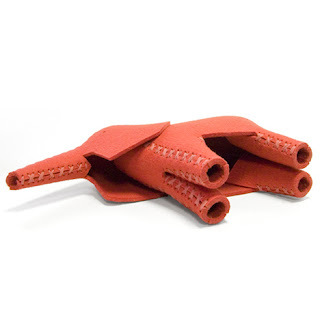 Daniel Böttcher developed the felt toy collection for formverleih based on the idea to combine certain felt pieces to build three dimensional objects. All pieces of Ronny and Peggy are connected by hand with cross stitches such as the bindings of shoelaces. 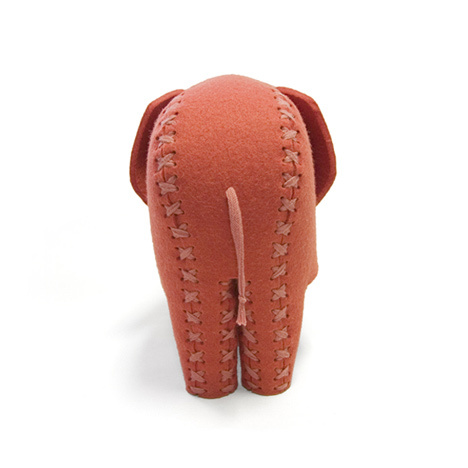 All stitches and the 5 mm thick felt body make them robust. The whole production process of Ronny and Peggy is located in Germany. Formverleih is a German label for product design, which was founded in 2011 by the junior designers Daniel Böttcher and Marlene Schroeder. The name Formverleih is a German wordplay. It means to give something a new form but also to lend a form to somebody. From 2005 to 2010 both the young designers studied product, object and textile design at AKS Schneeberg in Germany. During this time they worked together for certain projects. After their studies they decided to create and produce limited product collections in collaboration with local companies. Daniel Böttcher and Marlene Schroeder mostly create furniture, toys and interior accessories with ecological and sustainable materials like felt or wood. They try to combine traditional handicraft techniques and timeless shapes to develop multifunctional products. The two designers are focused on high quality and characteristics of materials to establish a new way of simplicity.